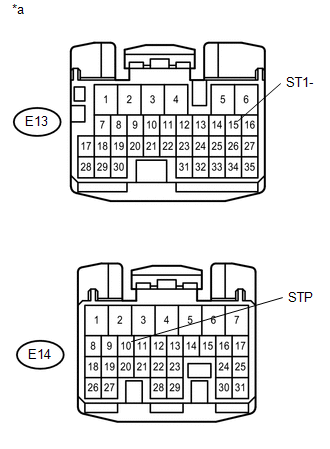 When the brake pedal is depressed, stop light switch assembly sends a signal to the ECM. Upon receiving the signal, the ECM cancels the cruise control system. Inspect the fuses for circuits related to this system before performing the following procedure. 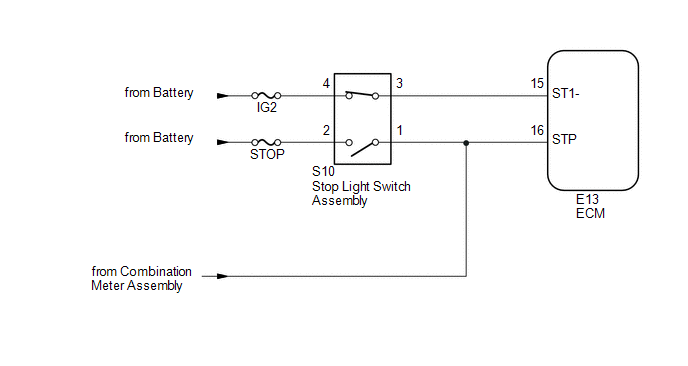 (a) Disconnect the stop light switch assembly connector. 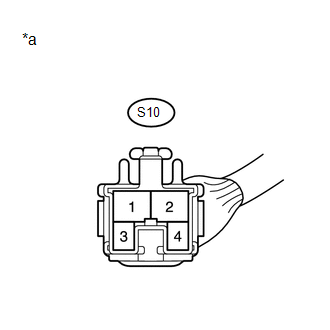 (a) Inspect the stop light switch assembly (See page INSPECT STOP LIGHT SWITCH ASSEMBLY ).